He was prime minister for just 119 days before his death in office in 1827, killed by a severe bout of pneumonia, not by the gunshot wound inflicted by a Cabinet colleague. 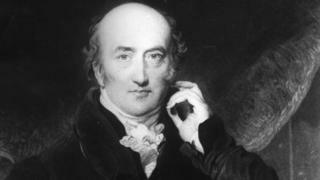 But George Canning, the Conservatives’ lost leader, is proof that even those who serve the shortest stints in 10 Downing Street can still leave an indelible mark on political history. Canning is considered one of the major political figures of the early 19th century. Although his reputation rests largely on his time as foreign secretary, his ascent to the very top was significant as it helped to redefine politics in Britain. He was also such a passionate man that he once insisted on fighting a duel with a fellow cabinet minister over an accusation that he had been conspiring behind his back to get him sacked, even though he had never fired a gun in his life. Even if Theresa May were to lose the 2017 general election and become one of just eight prime ministers who served less than a year in office – her tenure would still be almost three times as long as Canning, the shortest serving of them all. Like Mrs May, whose six years was the longest stint as Home Secretary since the early 1950s, Canning served a long political apprenticeship before finally landing the top job. He was born in London in 1770 to a failed wine merchant, who abandoned his family and died when George was still an infant. To make ends meet his mother took work as a stage actress at time when treading the boards was not considered a respectable profession. But from an early age he showed an uncommon intelligence, and thanks to a wealthy uncle he was able to excel academically at Eton College and Oxford University, where he honed the public speaking skills that would see him lauded as the finest political orator of his generation. His brilliant mind, coupled with unshakeable self-confidence, and a caustic wit – it was said that he “could lash the hind of a rhinoceros” – propelled him rapidly into the front line of politics. An insight into his formidable intellectual skill was given after his early death by the diarist Charles Greville, who recalled that he thought and spoke so fast that transcribers could not keep up with him. After holding a number of senior positions, he was made Foreign Secretary in 1807, and played a key role not only in assuring Britain’s naval supremacy over Napoleon, but in shaping political alliances across the Western world. John Bew, professor of History and Foreign Policy at King’s College London, said: “Canning was the torchbearer for the ‘liberal Tory’ tradition. However, Canning damaged his reputation by fighting the infamous duel with his rival Lord Castlereagh and, despite his achievements in the Foreign Office, was forced to endure a prolonged period in the political doldrums. Ironically, he succeeded Castlereagh following his rival’s suicide to become Foreign Secretary for a second time in 1822, and forged a close relationship with the Prime Minister the Earl of Liverpool, finally assuming the highest office when his colleague suffered a severe stroke. However, he found it difficult to form a government. The Conservatives at the time were deeply split between right-wing High Tories, and the more moderate ‘Canningite’ faction. Former prime minister the Duke of Wellington and future prime minister Sir Robert Peel were among those who refused to serve under Canning. He had to invite leading members of the opposition Whig party to join his government, but then set about implementing a programme of progressive reforms. But his health was already failing when he took office, and he died in August 1927 just four months later. However, even just becoming prime minister was significant though, says Dr Lee, because it set in train changes that led to a major reorganisation of British politics. Would his impact have been greater if he hadn’t died so soon into his tenure?